Plot power versus frequency. 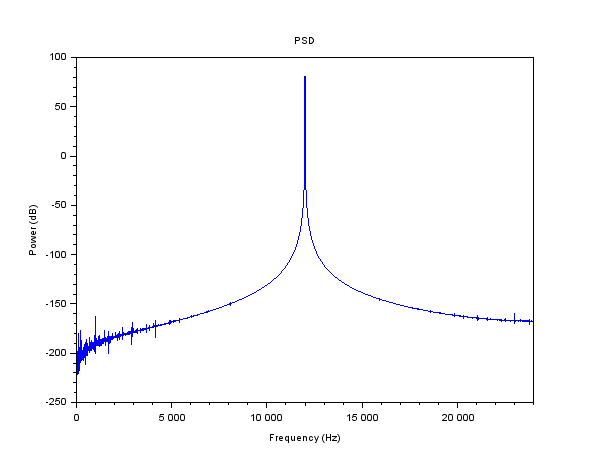 If the input signal is real, then only the positive frequencies are plotted. 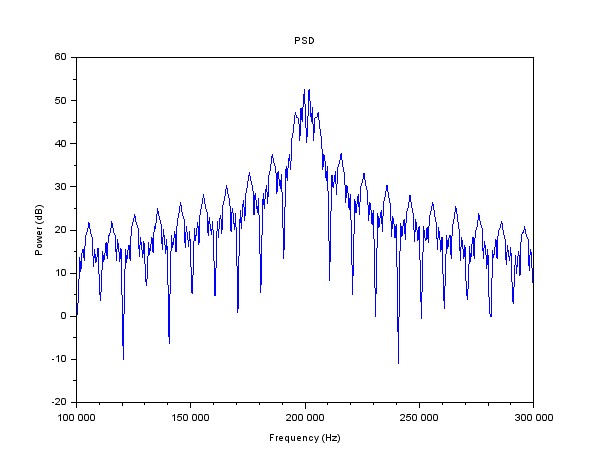 Otherwise (complex signal), both positive and negative frequencies are displayed. Note that this function compute the PSD in a very simple way: it just apply a Hann window before doing the DFT. 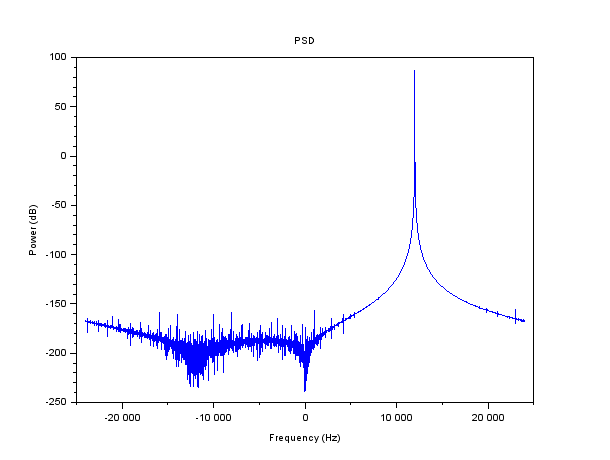 So, it is just a convenience function to have a quick view at the spectrum of a signal. For more advanced PSD, see the cspect, pspect, ... native functions of SCILAB.